Every now and then a sportswriter, worrying over why baseball isn't as popular with the youngs as it once was/could be, will cite the blandness of the modern star as one of the great problems facing the game. Recently, for instance, the Boston Globe's Nick Cafardo cited Reggie Jackson, Barry Bonds, and Hawk Harrelson (a guy who once retired to take up a golf career during a contract dispute) as the sort of colorful personalities the sport doesn't seem to have room for these days, because baseball is more a business than a game to today's highly paid players, etc. That doesn't seem right at all! You have Yasiel Puig exulting in being Yasiel Puig, Madison Bumgarner taking time off from wrestling bears or whatever the hell it is he does in the backwoods to close out a World Series on no rest, smart weirdos like R.A. Dickey philosophizing, and the outsized likes of A-Rod and David Ortiz. Big personalities are something MLB doesn't really seem to want for. One of the ways the theory is really not right, though, is the way in which it confuses brash players with compelling ones. All of this comes to mind just given that a new profile of the White Sox's José Abreu by Chicago Magazine's Michael E. Miller portrays him as both an almost unbelievably anodyne figure and a nearly mythic type. Abreu, who along with Chris Sale and Adam Eaton made a very bad team very entertaining last year while hitting at least as well as anyone in baseball, is, at the plate, preposterously enjoyable to watch. As a personality, well, details here include him working out to "Christian disco music," buying a $445,000 house in the Miami suburbs after securing a team-record $68 million contract, and really enjoying the National Geographic Channel, from which he's learning English. As he tells it, his vices include his mother's cooking and working so hard that the White Sox had to convince him to dial it back so as not to wear himself out. 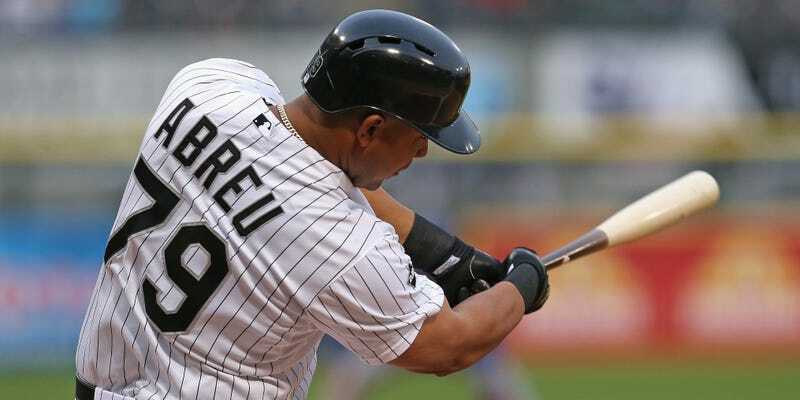 Abreu's depths remain hidden. Likely the most prized Cuban defector in baseball history, he not only had to leave his own son behind to seek his fortune abroad, but in all probability dealt with human traffickers who held him hostage and made him sign over a huge percentage of his earnings. It's not anything he's going to put in a magazine, though. "It's tough to talk about," he says of his defection, leaving it there. "It's a sad subject." Abreu wasn't miserable in Cuba. He got married, had a son, and moved into a bigger house. Even after he and his first wife divorced, Abreu enjoyed being a single dad and a local celebrity. Like most people in Cuba, he didn't own a car. But one of his friends had a horse and buggy, and he would take Abreu to games, clip-clopping through Cienfuegos. "I loved riding around the city that way," Abreu says. "People would wave at me in the streets." Imagine this! Maybe the best hitter alive, riding to the ballpark in a horse and buggy, waving to the public. It's a story out of some old-time history, and yet it happened a couple of years ago, and its subject plays baseball in Chicago right now, just a few miles south of downtown. The nature of baseball is such that the past always looms larger than the present, and all the flawed stars who were always seem more special than the ones who are. But even leaving aside the flamboyant likes of Puig and Bumgarner and Ortiz, there are stars in baseball right now who have stories so impossibly interesting that they come through even when the players decline to tell them. José Abreu is a lot of things—quite possibly the best hitter in the world; a man of clearly limited interests; and someone who maintains a certain reserve—but a game in which he's a central figure is one that does not need to worry about drama or intrigue or inspiring in the kids a sense that the world is a large, strange, and varied place.